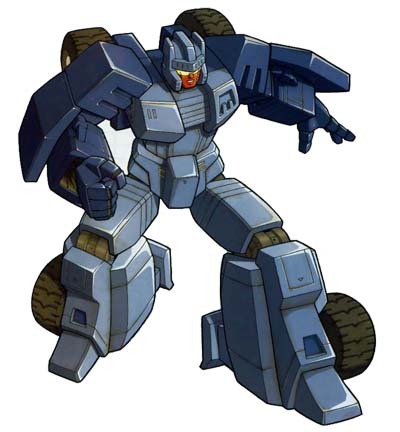 Profile: Topspin is a rugged adventurer who is as interested in conquering rough, supposedly impassable terrain as battling the Decepticons. He looks at a mountain range as a personal challenge and refuses to be stopped by any obstacle in his path. 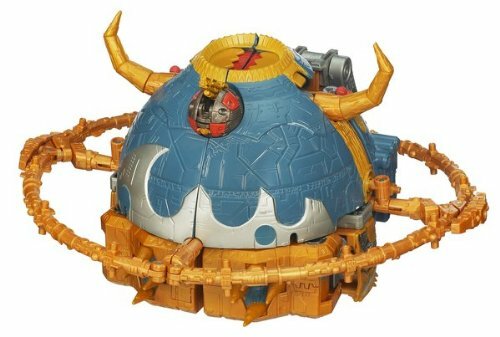 In fact, Topspin thinks that defeating a particularly rough passage is even more satisfying than defeating a Decepticon foe—after all, a Decepticon is a Decepticon. but single-handedly besting nature itself is another matter entirely. Abilities: Subject has above-average strength and intelligence. 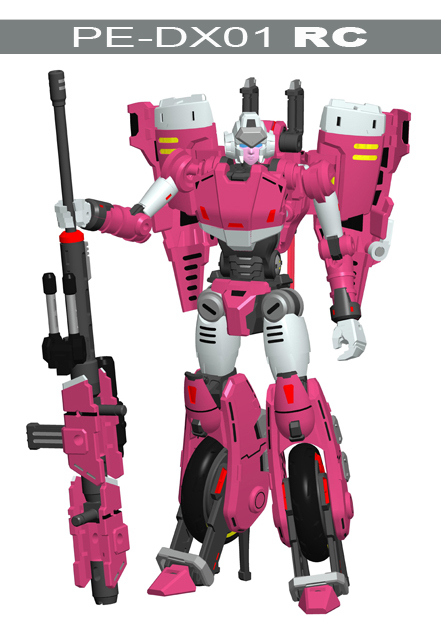 As a Jumpstarter, Subject is able to transform between modes in a fraction of an astrosecond. In hovercraft mode, he can reach speeds of 300 mph and travel over most terrain with ease. He can reach a height of 500 feet in this mode and also use his pontoons to travel over water at a speed of 80 mph. 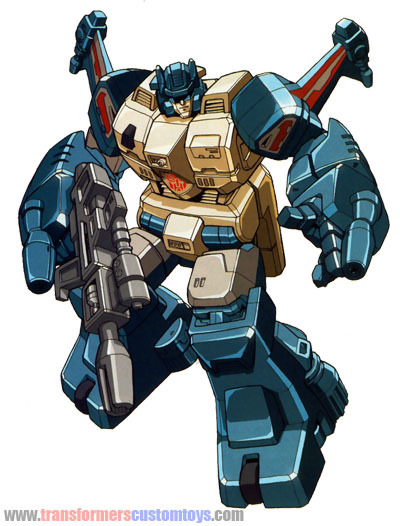 He has two wing-mounted laser cannons and two hand-mounted, high-voltage electric cannons; all of these are useable in both modes. 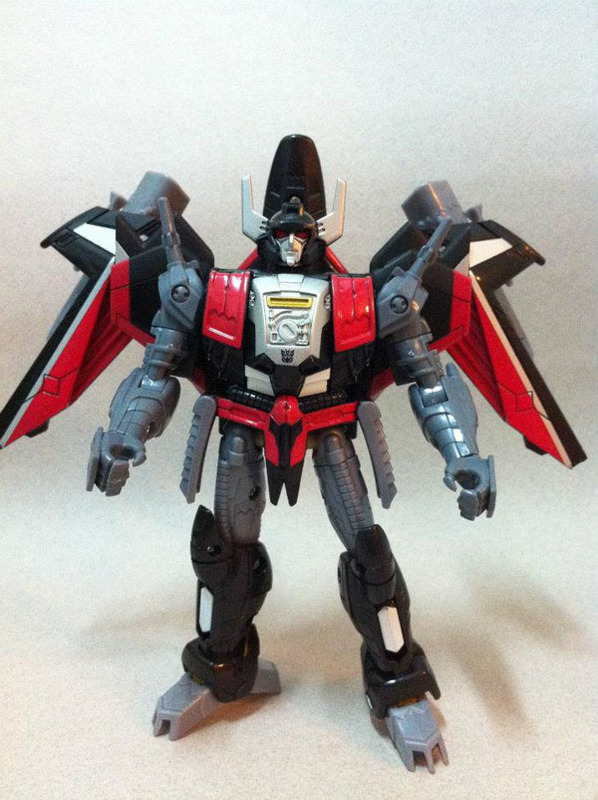 In robot mode, he also wields a powerful particle beam rifle. Weaknesses: Subject’s jet engines drain energy at a significant rate. His desire to conquer new terrain can distract him from immediate threats, like Decepticons.